Making Ads: Does Anyone Care? Last year I was watching a new ad for MacBook Pro and really enjoyed it. 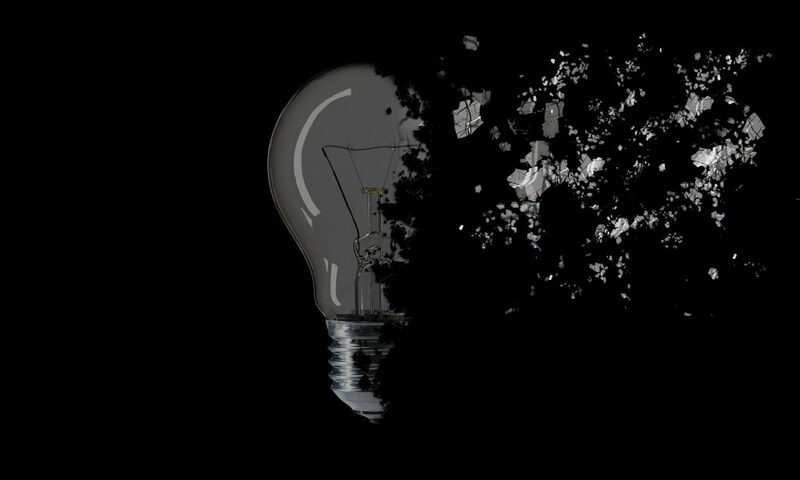 The premise that ‘ideas push the world forward’, accompanied by a journey through some of the ideas that did (and some that didn’t), connected by a chain of exploding ‘lightbulb moments’ encouraged me to think that the MacBook Pro must be pushing at frontier of laptop technology. Then I thought again and realised that I loved this commercial. I am not technically minded and I’m not in the market for a new laptop. I am not an Apple disciple. I don’t even think the creative idea is breakthrough. The reason that I love this ad is because I believe that it was conceived, developed and executed with great care. I don’t confuse ‘care’ with ‘talent’ and I don’t confuse ‘care’ with ‘bigger budget’. I don’t think ‘care’ costs anything and in fact is one thing we can apply with zero budget and zero talent. In my experience the final execution of an idea in the real world is usually a compromise. To avoid that, it takes a team of people who really care. These are people who believe in the idea and are prepared to stand up for it, prepared to work and work at every aspect of it. People who put their hands up – from the weird alliance that is born out of Marketing, Strategy, Creative, Producer, Director and Production expertise. What other recent executions, in any channel, have you seen that feel like they were made with extreme care? In fact, does the chip paper property of some media channels work against the application of care? Do we give ourselves too many excuses not to care? – ‘It’s only social media’, ‘It’s only a sales/promotional/short term campaign’, ‘It’s only POS’, ‘It’s a low cost product’, ‘We don’t have much budget’. I really hope that this team worked in harmony and is proud of the finished execution. For what it’s worth I think Apple should take the mantra ‘Ideas push the world forward’ and give that to their innovations department, with a small amendment to ‘Only pursue ideas that push the world forward’. My recent experience is that key people are more and more worried to stick their necks out for fear of rocking the boat, by being ‘unreasonable’, ‘out of touch’ or worse ‘old school’. It’s easy to spot when someone has taken great care over their ideas and I see this especially with start-up brands. In this case there is usually an individual client driving the bus. That person has conceived and brought their product or service into the world. They are driven to succeed and they really care. You can hear it in the way they describe the product, how it works, what is special about it, and why people should care. 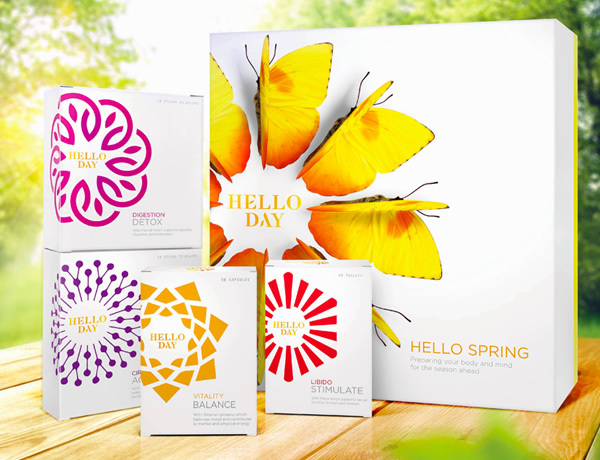 Most recently I worked with a new brand of natural supplements called Hello Day and the care shown by the owner/founder was infectious. This exhibited itself primarily in the quality of the product itself, but also drove all of the marketing and design team to simply try harder when it came to packaging design and in-market assets. I think it’s harder to identify a brand strategy that cries out ‘someone really cared about this!’ Sloppy or half-hearted execution might mask a brilliant piece of strategy, in the same way that weak strategy can be overcome by eye-catching creative work. To me, caring about brand strategy means doing justice to the product or service and the client who hired you. Uncover a relevant consumer insight; discover what makes the brand distinctive; understand what will make the brand desirable for the audience. Spot the irrelevant difference, avoid the undifferentiated benefit. Basically, be suspicious of the easy option – banish what my old planning colleague Bobby called ‘fat’ words, like ‘Partnership’, ‘Innovation’, and ‘Passion’ from the brand model. Find the brand’s language, tone and spirit. Push harder with the proposition. Finally, an apology to a previous planning director. I was working on the launch of a new shower gel, about which the client had said there was nothing special except it helped soften the skin. I tried to find how and why this happened, but the client wasn’t really interested. The planning director refused to sign off my generic ‘softens your skin’ brief until the creative director said ‘let’s just do a nice ad which demonstrates the softening effect’. The result was fine, actually it was just about average. By co-incidence it was also about the time the agency went into a nose-dive. I apologise now to everyone involved – I didn’t care and it showed. The effort to chase ‘brilliant’ doesn’t cost more and in reality takes little talent – but it does help if you care. Enjoyed this breakfast read? For a chat over coffee about your brand, visit Breakfast Town or call +44 7950 257802. This entry was posted in Advertising on May 13, 2018 by Andrew Barrington.